With every new vehicle there is expected to be a lot of criticism and the new Jeep Gladiator truck is no exception. But does it deserve all of the criticism it receives? If you’re in mid 20s or older, you may remember the drinking and driving commercial that displayed one empty glass after the next, signifying a progression of impairment after each glass of alcohol was consumed. That’s the commercial I was immediately reminded of when I saw the final version of the Jeep Gladiator. As you can see designers at Jeep started off great, keeping the look of the new Gladiator close to the Jeep Wrangler which in my opinion is great, but as the design phase went on things got worse. When you reach the back end of the Jeep Gladiator you immediately begin to wonder what they were thinking. The rear wheels look as if they were rammed forward and the bed isn’t as deep as you would find on most trucks. So obviously this is a truck you would want to avoid, right? Not so fast. Yes, the Jeep Gladiator isn’t as easy on the eyes as other trucks these days. But if we change our priorities slightly and focus a bit less on looks and focus our attention more on the functionality and true purpose of the Jeep Gladiator, it quickly starts to make a lot more sense. I don’t know the reasons why the Jeep Gladiator turned out the way it did in the design department, nor will I pretend like I do but here is my best guess as to why it sits the way it does. Jeep wanted to ensure that the Gladiator could perform Jeep things like crawling in unbelievable back-breaking terrain, fording deep water like it’s not your neighbors business (because it’s not Frank!) 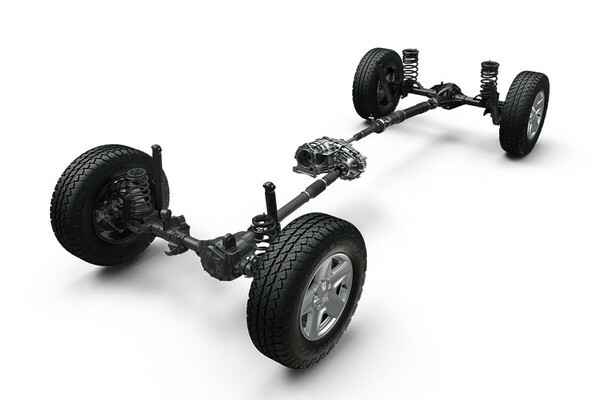 while being capable of doing truck-like things such as towing and hauling. So I believe some tough decisions and compromises needed to be made. The frame is very similar to the Wrangler with some revisions and extended to accommodate a 5 foot bed, 6.5 feet with the tail gate down. They needed a place to tuck the spare wheel, that ended up being under the bed, behind the rear axle. You can fit a full 35 inch tire there (that’s a massive spare). 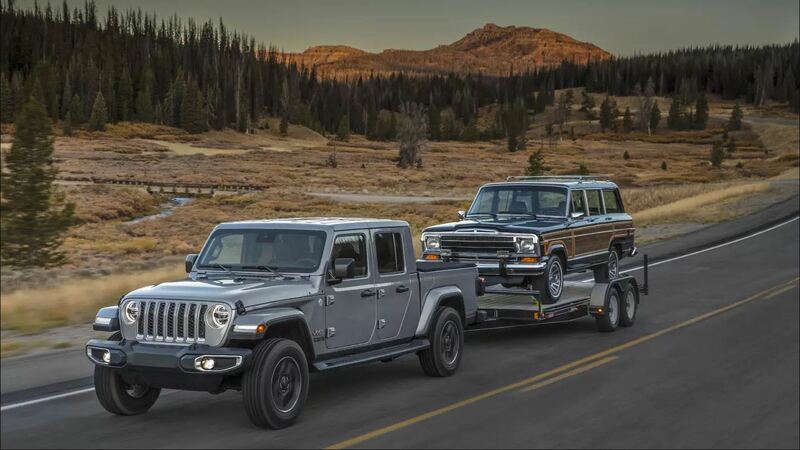 The Jeep Gladiator has a 19.4 inch longer wheelbase than the Wrangler and is overall 31 inches longer, so don’t think they just cut the rear off the wrangler and slammed a bed on the frame, that simply would not have worked, some significant changes took place. Then they needed to ensure the rear end was beefed up to accommodate towing and not just any towing. We’re talking best gas engine, mid-size pickup towing at 7650lbs that the sport model with an automatic transmission can handle. The Jeep Gladiator can also carry 1,600 pounds in the bed. The additional length may concern some off-road enthusiasts and rightfully so, that’s a lot more vehicle to get through rough terrain but Jeep did this to improve rear passenger space and it improves the ride and handling while carrying cargo. Truck first, Jeep second. The New Jeep Gladiator also features a full 4×4 setup with a beefier 3rd gen Dana 44 front and rear on all Gladiators for the ultimate off-road capability. To help conquer the most extreme off-road conditions, the Gladiator Rubicon features several skid plates, excellent rock-crawling axle ratios and a full 30 inches of water fording ability with the 33″ tires equipped. 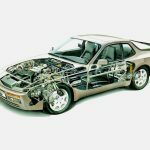 The engine is the same 3.6L Pentastar V6 found in Wranglers, that pushes 285 horsepower and 260 lb.-ft of torque, available with an 8-speed automatic or 6-speed manual transmission. In the 2020 calendar year a 3.0-liter EcoDiesel motor, producing 260 horses and a mighty 442 lb-ft of torque, will be an option but only available with the 8-speed automatic transmission. Whoa, whoa, whoa, still no V8 Hemi? are you &%^#@!#^@ kidding me!? There’s a good reason for that. Jeep wanted to put a V8 in the Gladiator since many enthusiasts have requested this, but the V8 is physically larger than the V6 and there wasn’t enough air space in the engine bay to pass crash tests within spec. They tried, it just didn’t work. The Diesel does a good job filling that gap. Most off-roaders are putting the Hemi in their rigs for the high torque, the diesel is providing 442 lb-ft of torque and that’s before tuners step in. To help shed some weight, some parts of the Jeep Gladiator are made from aluminum such as the hood, fenders, doors and tailgate. They luckily didn’t make the same mistake as Ford did with their F-150… The Jeep Gladiator does feature a full steel bed. For you extreme off-roaders, Jeep is offering an optional “grill-cam” which will help you see over a hills edge when coming up to a drop-off. Also included with the cam is spray nozzle you can control to clean off the lens to ensure you have full visibility. Jeep is also giving consumers the option of a full steel bumper with removable end caps and removable plate at the center of the bumper allowing for easy installation of a winch. Much like the Jeep Wrangler, The Jeep Gladiator has removable freedom panels, which are the two forward roof panels. Removable rear roof panel and doors. The windshield still folds down flat which can be done effortlessly like on the Jeep Wrangler JL. 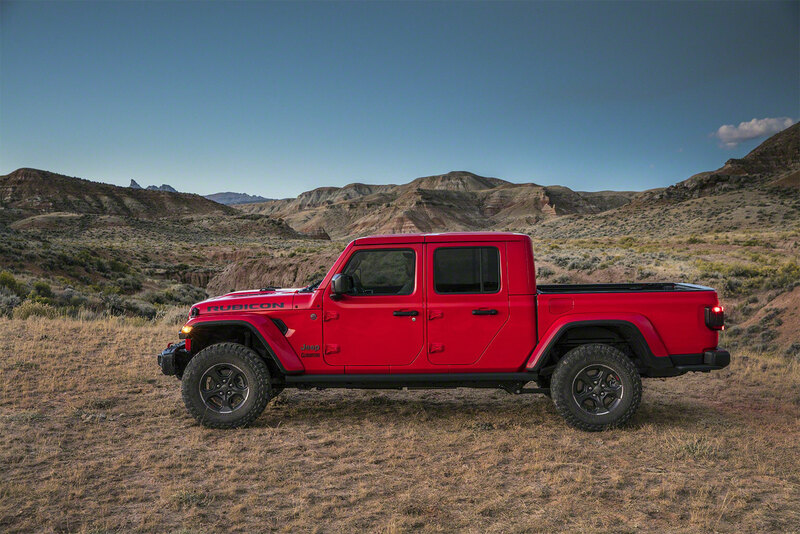 A soft top is also an option on the Jeep Gladiator, it is unclear at this point what exactly will be standard equipment and what will be additional options but it is nice to know that a fold-down soft-top will still be available on the Jeep Gladiator. Available Adaptive Cruise Control and Forward Collision Warning with Active Braking Adaptive Cruise Control. Automatically decreases vehicle speed when it detects slower traffic ahead, helping ensure you maintain a pre-selected distance. Forward Collision Warning with Active Braking alerts you when it senses a potential frontal impact. If you don’t respond and the risk continues, the system will automatically engage the brakes. Baja fans weren’t left out on this one either. Jeep decided to offer fox shocks on some of the Jeep Gladiator packages. Much like the ones found in the Ford Raptor and the Toyota TRD Pro. Also the gladiator has a high-speed mode, much like a Baja mode. This mode puts the gladiator in high-speed off-road drive mode that locks the rear differential, unlocks the front differential and keeps the front sway bar engaged. This is where those fox shocks come in handy. 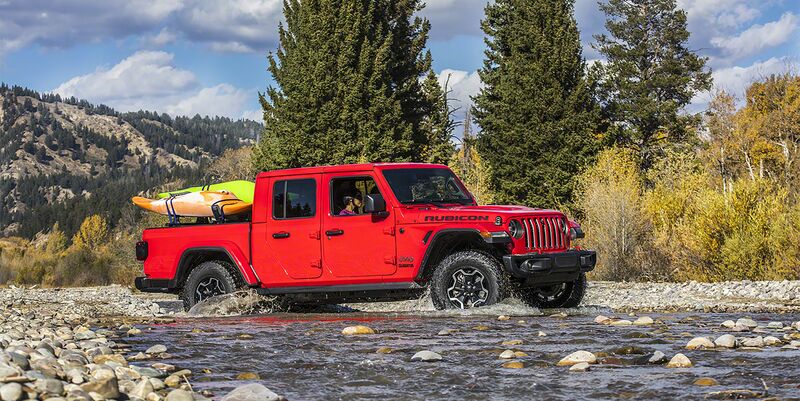 The Sport model will be the entry level Jeep Gladiator much like in the Wrangler line-up. Feature the soft-top with the option to upgrade to a black or body color hard top. However, even though this is the Sport model it will have the best towing capability over the other available trims coming in at a whopping 7650lb. 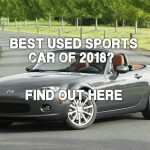 The Sport S model is essentially the same as the Sport model but the main difference here is the Sport S comes with black hard top vs the soft-top. 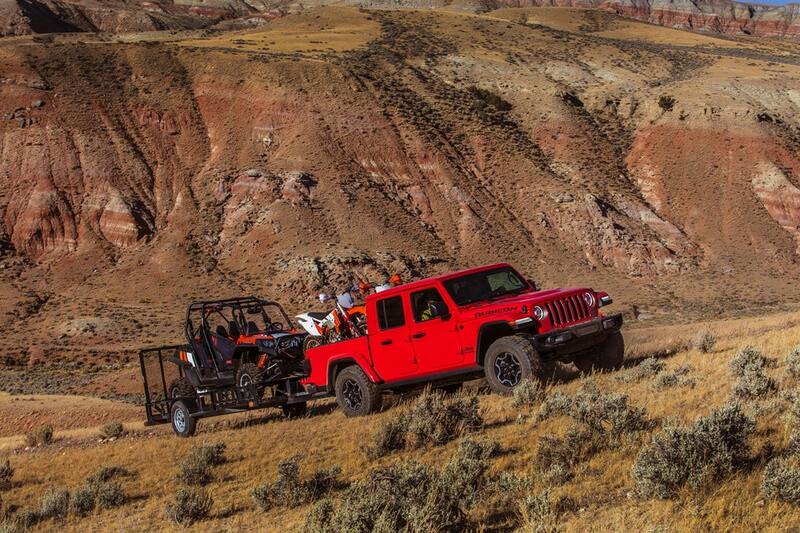 The Overland model is the Jeep Gladiators luxury model, much like the Wranglers Sahara model. 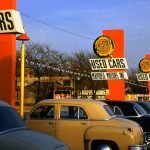 It will feature body-color fender flares, LED headlights, along with additional standard equipment over the Sport model. The Overland’s towing capacity is is 4000lbs with the 6-speed manual and 6000lbs with the 8-speed automatic transmission. Full leather interior will available in the Overland model of the Gladiator. At the top of the range is the Rubicon, which much like the Wrangler adds a wide-range of off-road equipment and additional features. Shorter gearing comes in the Rubicon, standard wider axles, electronic locking front and rear differentials, electronic anti-roll bar disconnect, Fox shocks, 33-inch tires, a trail camera mounted in the grill for seeing over hills with dynamic tire path gridlines that help select the best vehicle path to successfully negotiate difficult obstacles. The Rubicon adds raised fender flares to accommodate 35-inch tires, an off-road rear bumper and steel rocker guards that run under the bed overhang behind the rear wheels, which will aid tremendously in extreme off-road conditions. The Rubicon can tow 4500lbs with a manual transmission or 7000lbs when fitted with the automatic transmission. 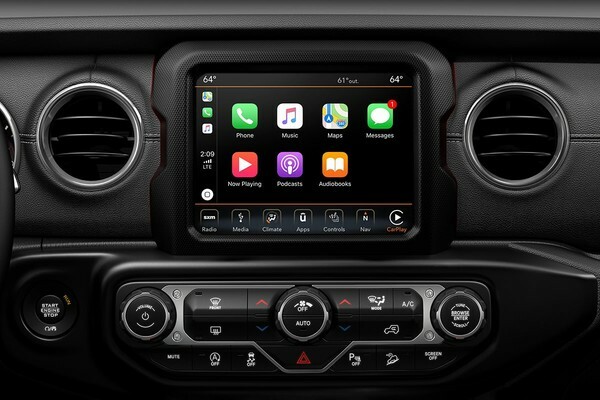 There will be 2 upgrades available of the Uconnect entertainment unit that feature apple CarPlay and Android Auto integration. Available in 7 inch and 8.4 inch screen sizes. The 8.4 inch Uconnect systems features navigation. 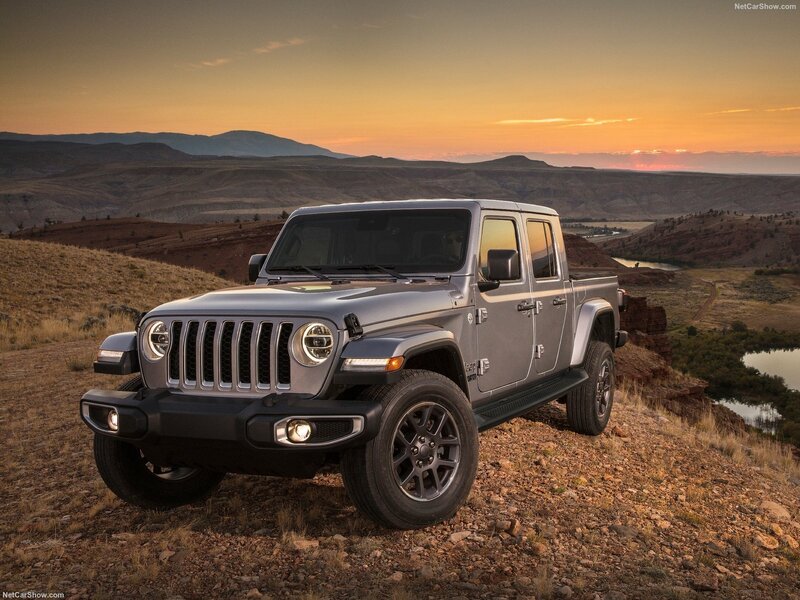 Jeep has yet to announce pricing but we should have more details on the price of the new Jeep Gladiator in the near future. 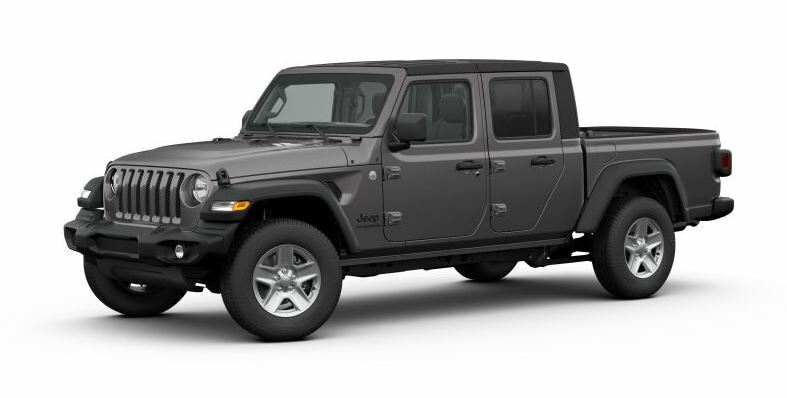 What do you think of the Jeep Gladiator? Is it worthy to be called a truck or is it a waste of time? Let us know in the comments below.